﻿ What is God like? This is not a child’s question. There is nothing and no one with whom we can compare Him. He is in a unique category, and we can know Him only as He has chosen to reveal Himself. The psalmists were always calling men to praise the name of Yahweh. “Praise the LORD” is repeated in the Psalms. The LORD God is an infinite person. We can come to know Him only as He has chosen to reveal Himself in nature and in His own Word. “The heavens are telling of the glory of God; and their expanse declaring the work of His hands” (Psalm 19:1). God has chosen to reveal Himself in His creation (Col. 1:16-17; John 1:3; Rev. 4:11; Rom. 2:14-15). The Creator did not leave Himself without a witness to His grace and mercy. He reveals Himself to the world by His common grace (Acts 14:17; 17:24-29). God has revealed Himself in His personal name. In Exodus 3:14 He revealed Himself to Moses at the burning bush as “I AM WHO I AM.” “I AM” is the LORD, “the God of you fathers, the God of Abraham, Isaac, and Jacob” (v.16). As a divine person, He has revealed Himself and communicates His person to His creation made in His image. He has revealed Himself as three persons in one – The Father, The Son, and The Holy Spirit. There are not three Gods. He is One God in three persons. He can be known, and He wants us to have fellowship with Him. This great personal name Jehovah, or LORD, reveals to us that He is eternal. He is the great “I AM.” He is God eternal, everlasting, without beginning and without end. Hebrew scholars tell us the name contains each tense of the verb “to be.” You could translate “I was,” “I shall always be,” and “I shall always continue to be.” He is the eternal I AM, the same yesterday, today, and forever. He is always the same in His eternal being, so we can depend upon Him to be consistent. Not only is He eternal, He is also unchangeable. He is immutable. What He was to Moses, Abraham, Isaac, David, etc., He will always be to us. He does not evolve, as if an evolutionary religious hocus pocus created Him. He acts with self-dependence. He answers to no one. He is the Self-determining One, absolute, independent in harmony with Himself throughout eternity. He is today what He will be tomorrow. He has no needs and therefore not dependent upon anyone or anything in His creation. He does not need anyone to defend Him, love Him, or support Him. He is the only All Self-sufficient One. Yes, He is the God of salvation, and the God of grace. The God who reveals Himself in Jesus Christ will always be like Jesus Christ and never change His eternal attributes (Heb. 1:1-3). In a confrontation with the Pharisees Jesus declared, “Your father Abraham rejoiced to see My day, and he saw it and was glad.” So the Jews said to Him, “You are not yet fifty years old, and have You seen Abraham?” Jesus said to them, “Truly, truly, I say to you, before Abraham was born, I am” (John 8:56-58). He is “our great God and Savior, Christ Jesus who gave Himself for us that He might redeem us from every lawless deed and purity of Himself a people for His own possession, zealous for good deeds” (Titus 2:13-14). 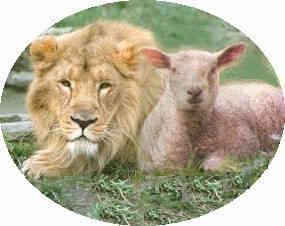 “To Him who sits on the throne, and to the Lamb, be blessing and honor and glory and dominion forever and forever” (Rev. 5:13).